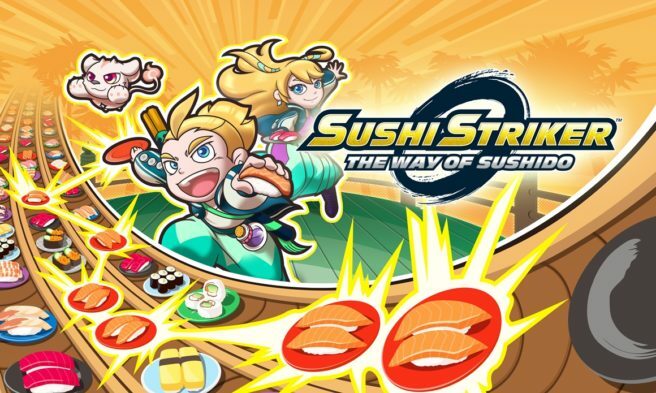 Just prior to the launch of Sushi Striker: The Way of Sushido, Japanese magazine Famitsu spoke with a couple of the game’s developers. Producer Hitoshi Yamagami and director Kaori Ando were both brought in for the discussion. Yamagami previously worked on the likes of Dr. Mario, Panel de Pon (referenced in the interview), and Fire Emblem while Ando has been involved with Tokyo Mirage Sessions #FE (also brought up in the interview). The talk was very interesting, as we’re able to learn how Nintendo came up with the concept for Sushi Striker and how the project turned out the way it did in the end. The original plan was for something quite different, and various genres were considered. Yamagami: I would say it’s because Andou and I are both nuts. (Laughs) I’m joking, of course. Well, firstly, Andou and I have worked together on several games in the past. Did you know that? You worked together to make “Tokyo Mirage Sessions #FE”, right? That’s another title that didn’t follow the typical rules of video game development! Yamagami: The first game she and I worked on was “Sparkle Snapshots”. Sparkle. Snapshots. How ridiculous is that? (Laughs) Andou always insisted during development, “I need more sparkles! I want to do things thought impossible with the DSi’s photo album!” And regarding “Tokyo Mirage Sessions #FE”, that whole project came together because Andou said, “I want to make a game that mashes the worlds of Shin Megami Tensei and Fire Emblem together.” I had never considered the combination of these two series before, but as time went on and as we considered how the two fanbases could overlap, it made more and more sense. Once we gave our proposal for the project, everyone seemed to enjoy the idea of these two worlds combining, and so the project was greenlit. What I really like about Andou is that, although she is creator, she is always focusing on the player’s experience. She’s very good at seeing things from the player’s point of view, like, “I wish this or that were in the game” and articulating that to the team. Hey, Andou, when was all this again? Andou: Spring of 2015. Right after we announced the title as “Gen’ei Ibunroku #FE” (Tokyo Mirage Sessions #FE, later in the West). Yamagami: Ah, right. And so at this time we were trying to think about more game ideas specifically for the Nintendo 3DS. And since Andou has such variety of creative abilities, I asked her to workshop a theme for a game that would have broad appeal to anyone regardless of age. She responded right away – what was it that you said? Yamagami: Yeah. She was like, “I’ve got this unusual idea that just came to me: sushi.” And I was sure I misheard her. She assured me that she wasn’t thinking of something simple, and that she wanted the act of eating sushi to be the main feature. Uh-huh… So could you elaborate on where you were going with that, Andou? Andou: I first thought about what kind of entertainment is aimed at people of all ages, and that made me think of a theme park, you know? From there, I considered something that’s not on such a grand level. Something that people enjoy on an ordinary level that makes them purely happy. And that’s when it came to me. I thought of parents and kids going to a conveyor belt sushi restaurant together on a day-off, and how wholesome and enjoyable it is for them. But why is that? What is so fun about conveyor belt sushi? Honestly, literally everything about it is fun. Grabbing plates off of the spinning belts, the way you eat the yummy sushi, feeling satisfied. And when you see both kids and adults in such high spirits, you know this is absolute bliss. You’re right! I never thought of it that way. Yamagami: So I asked my designer (Takayasu Morisawa of Metroid and Fire Emblem fame) to meet with Andou. I asked him to hear what she had to say and to turn it into something I could make sense of. And so in order for him to do that, he spent about two or three weeks discussing with her. Ah, so then Andou’s vision of Sushi Striker came to life? Yamagami: No, no. Not even close. The game started out as something completely different. What? Wait. So did it start out as something like Andou mentioned: parents and kids having fun eating sushi on their day off? Andou: Yup. We tried it out two or three different times but we ended up abandoning the idea. Before long, I was craving sushi like you wouldn’t believe! (Laughs) When I finally went to get some, it felt like such an experience after having worked on this concept. I felt this incredible sense of accomplishment after eating, like there was some sort of passion in me that was coming to a head. Yamagami: In contrast with that, my main focus was making a video game. And we couldn’t make a video game from the simple premise of just eating sushi, so something had to be done. I had to think about the world: who would be the antagonist? Who would be eating sushi? And so on. This is when we came up with the idea for our main character, Sushi Striker Musashi. … After thinking it over for two or three weeks, we settled on the main character being a young kid who loves sushi. Okay. That makes sense, but I’m a little hung up on the “Sushi Struggles” and the oppressive Empire hoarding sushi. Those aspects are pretty unorthodox. Andou: It’s a bit of a long explanation, but I tried to get to the root of why going out to eat sushi is so exciting. I think it’s because it’s such a revered cuisine. But if you continuously eat something that gives you this refined and cultured feeling, the impact starts to go away and you can take it for granted. I think we kind of do that. Yamagami: In the world of Sushi Striker, sushi has become as precious as gold, oil or gems in the real world. Since it’s the most valuable thing in the world, it’s the hardest thing for people to get their hands on. This was the catch we were looking for, and we ran with it. Andou: But sushi is just rice and fish, you know? If you have those two things you can make sushi. Yeah. In real life, sushi is not as valuable as gold or something. Andou: While we were working on this aspect, something we thought about was that these days there are some children who do not know that sushi is made from fish. And so we thought, if sushi already existed in its completed form, then we can have a world without fish. Andou: With that, we created a story where sushi comes from Sushi Sprites instead. Andou: Sushi Sprites come from shrines and use some kind of divine power to create sushi out of thin air. That’s where people think sushi comes from in our story. And since sushi is so valuable, naturally, people start fighting over Sushi Sprites, too. That’s how the “Sushi Struggles” took place between the Empire and the Republic. Wow, that’s pretty cool. You’ve really created something amazing that also has a logical progression to it.